The ACL is one of four important ligaments that provide stability to the knee. There are two cruciate ligaments that cross inside the knee (‘cruciate’ originates from the Latin for ‘cross’), connecting the femur (thigh bone) to the tibia (shin bone). How do most ACL injuries occur? Most ACL injuries occur during a non-contact injury whilst pivoting or twisting on the knee, often during sports such as football, skiing, netball and basketball. Many patients describe hearing a “pop” in the knee. There is extreme pain in the knee followed by rapid swelling of the knee. Patients find it difficult to mobilise on their knee. Once the swelling has settled, patients often have symptoms of instability of the knee and cannot return to pivoting sports such as football. Women are more prone to ACL injuries than men. This is largely due to anatomical differences between men and women. In general, women have a different body shape to men, their leg alignment differs and they have differences in muscle strength. Women often demonstrate increased joint and ligament laxity compared to men and this is another contributing factor to the increase in ACL injuries in women. Those who regularly play pivoting sports (such as football) are also exposing themselves to a potential increased risk of surgery. Some people may also have a predisposition to soft tissue and ligament injuries. There has been a lot of work on ACL injury prevention (especially in women). These programmes focus on muscle strengthening, conditioning and improving sport-specific techniques. Through a combination of the patient’s history and a physical examination, an experienced surgeon can diagnose an ACL injury. An MRI scan is undertaken to confirm the diagnosis and assess if there are any other associated knee injuries. What should I do if I have an ACL injury? Early assessment by an orthopaedic surgeon and a physiotherapist is essential. In the early days following injury, a physiotherapist will help with reducing swelling and improving the range of motion of the knee. Do I need surgery if I have an ACL? 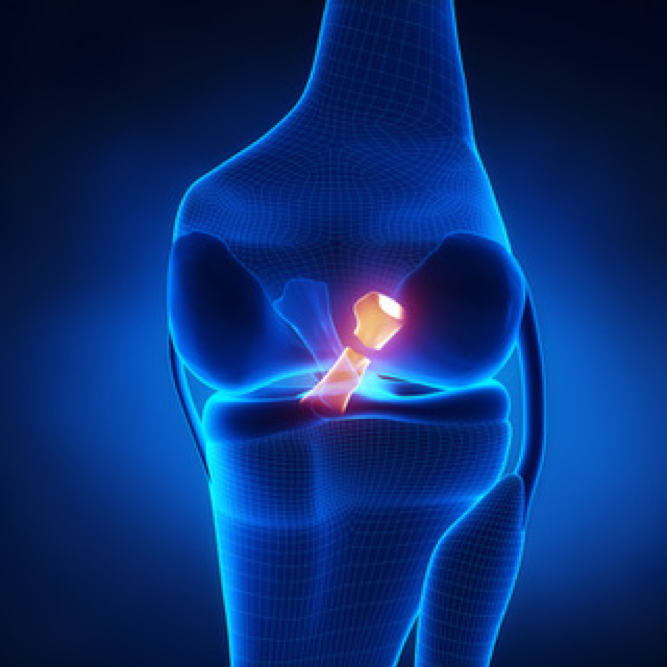 Increasingly, patients are opting for surgery following an ACL injury. That is not to say that surgery is essential for everyone. For those who do not have symptoms of instability and do not wish to part take in pivoting sports, surgery is not absolutely necessary. However, I would recommend a consultation with a knee surgeon to discuss the pros and cons for non-surgical management versus surgery. Traditionally, the torn ACL cannot be sewn together and repaired – we need to reconstruct a new ligament. A graft is taken from the patient’s own leg (usually the hamstring tendons or the patella tendon) and then used to make a new ACL. The majority of my patients have surgery as a day case and return home on the same day as the operation. If no other surgery is required, most patients are on crutches for approximately 10 days. Office workers could be back at work after 2-4 weeks. There is, however, a lot of hard work that the patient needs to do with the physiotherapist after surgery before they fully recover. At around 3-4 months you can commence jogging and cycling. However, it would be 9-12 months before you can return to pivoting sports such as football. What is new in ACL surgery? New novel techniques, involving repair of the torn ACL rather than reconstruction, are emerging. The attraction is that you are using the patients own ACL and not using a graft from elsewhere in the body. Only certain types of tear would be suitable for this kind of surgery. However this technique is in its infancy and, at present, we only have short-term data on a relatively small number of patients. As more results become available, we may be repairing more ACLs in the future.